Anyway.. yes, I’ve heard from a few little blogger birdies that this Sigma Cleansing and polishing tool is meant to be a pretty good dupe for the Clarisonic.. which is nearly 5 times the price! (yeah,..perty damn expensive). Because I don’t have a rich old husband to buy me pretty and expensive things like the Clarisonic and because I like a good beauty bargain.. 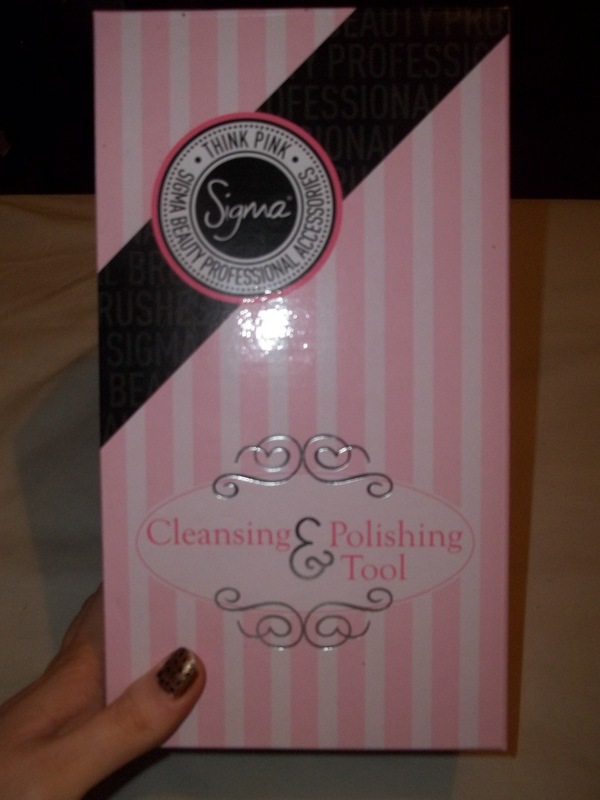 I decided to try out this Sigma Cleansing and Polishing Tool and see for myself what all the hype is about. It comes with 3 different detachable brushes.. each increasing in density. I use the “softest” brush for my face as I have insanely sensitive skin… but I would however, recomend that everybody uses this brush for their first few uses.. just so your skin can get used to it. 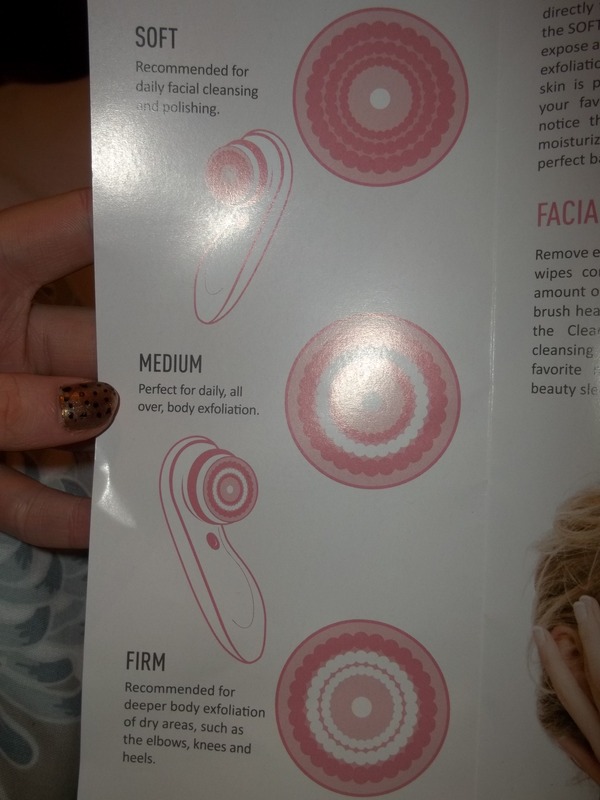 In the manual, it says that the other brushes can be used for body exfoliation.. again, because of my sensitivity, I’ve only tried this with the medium sized brush all over my body and I used the most dense brush (very briefly) on my elbows and knees. 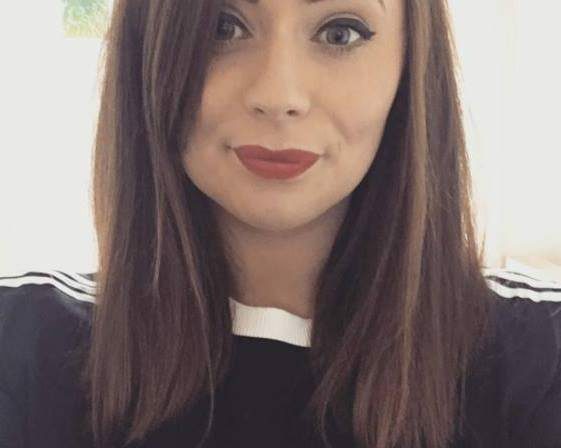 I just want to say that this was, my routine… which I found to work best on my skin. Of course, you are free to use the brushes as you wish and alternate them in any way that suits you. How to use it: I’ve been using it for just about 2 weeks now, morning and night. I use it with my everyday cleanser, the Dermalogica Ultracalming Cleansing Gel. You literally lather up your face with the cleanser of choice and then work this bad boy all around your face in circular motions. There’s no ideal time period to do this for but I usually do two good laps of my face, making sure i get to all the nooks and crannys. I then follow with a generous lathering of moisturiser and I’m good to go! Runs by batteries: also handy for travelling and when you are on the go. The price..completely affordable..especially in comparison with the Clarisonic. 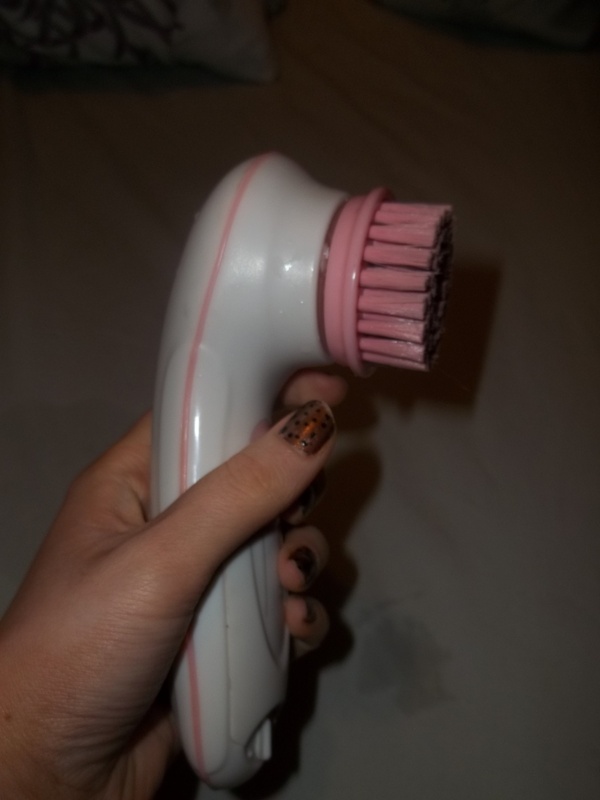 I broke-out a little bit in the first week of using this tool… But i’ve heard that this is normal as its your brushes way of clearing out all the badness from your pores. Now, because I don’t own/have used the Clarisonic.. I cannot state which is better, My judgement rests only on my experience with the Sigma one. However, in my opinion.. if the Sigma one works well, does the job and is a hellova lot cheaper.. why not just go with the cheaper one? If any of you out there, has tried both the Clarisonic and the Sigma cleansing and polishing tool…could you please tell me which one is better…and if the Clarisonic is worth the price? For now anyway, I’m very very content with my little Sigma. Well that’s all for now folks. Hope you enjoyed this review and if you have any products youd like me to review please let me know, and I shall do my best. Hope all of you had a really lovely Easter. I’m currently harvesting a substantial chocolate food baby! I like that it comes with several different brush densities for different purposes! Is it waterproof? I love that there are some less expensive versions of the Clarisonic coming out! This looks like a great buy. And I love the fact that it comes with more than one brush to try! OMG, thank you for this review! I’ve always wanted a Clarisonic but just could not shell out that kind of money. I found a web site that sells the sigma in the U.S. I can’t wait to try this out! Wow, Kate!.. Awesome review.. I can’t wait to buy it.. probably I will treat myself to this Sigma product for my bday :).. Thank you for reviewing this! oh my goodness! I have been looking everywhere for a product like this, i just want to say thankyou so much for blogging about this. 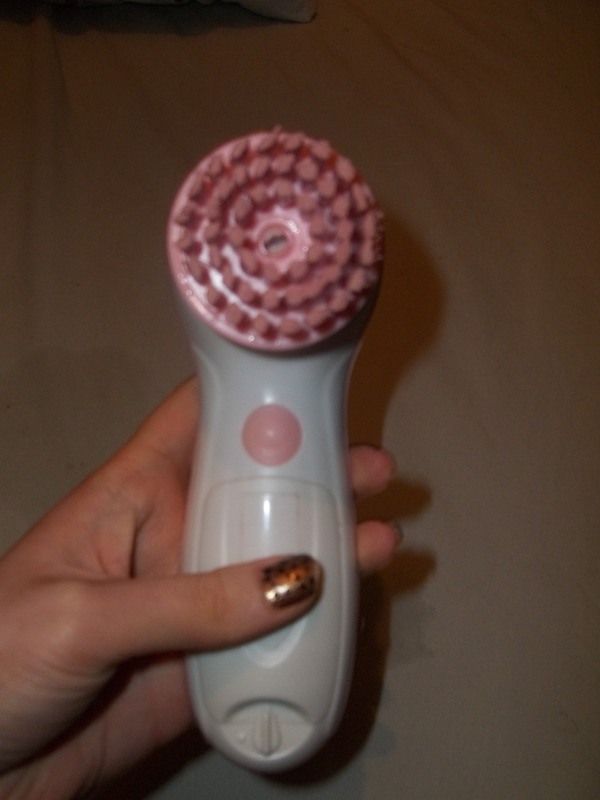 I haven’t tried this brush, but I do own the Clarisonic and love it! I know it’s expensive and normally, I would never have spent so much on any one product or tool, but after trying many different manual and battery powered brushes that would work for awhile or are too harsh, I just decided to go for it and buy a Clarisonic. I’m super glad I did because it’s very gentle, but works effectively and also has good quality brushes and is rechargeable and waterproof.